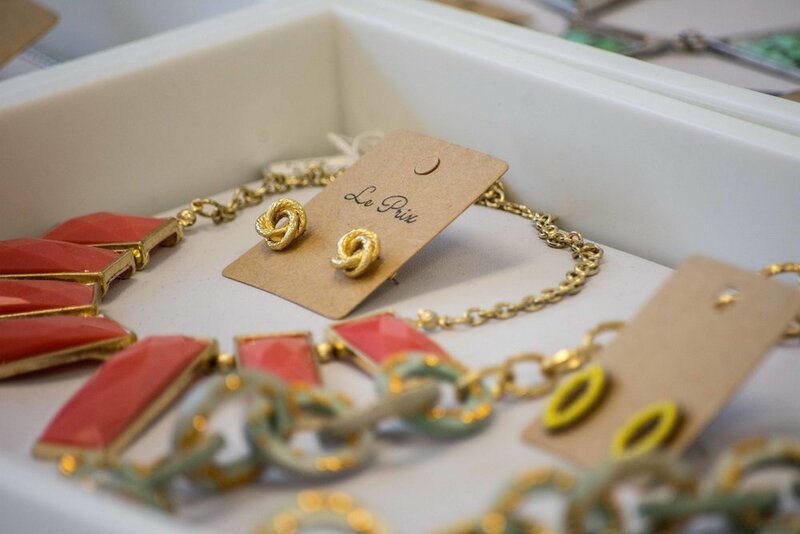 Here’s another spotlight blog post of our amazing vendor, Le Prix Fashion and Consulting. Our marketing director, Jennifer Lyon, sent Robyn Hobbs, founder at Le Prix, a few questions about the work she does. Here are her responses! Le Prix curates second-hand, and sustainably-made women’s fashions from around the world. You can enjoy complimentary fashion stylist services when you shop by (free) appointment in-store, you can shop online and book personal wardrobe stylist services like travel packing, wardrobe purging and organizing, and lots of other fun fashion-related activities. Since it was founded in 2012, Le Prix works to foster sustainability, self-love, and female empowerment. Le Prix is a social enterprise which aims to empower the community and our clients in person and online. We work on fostering sustainable lifestyles through the re-sale of second-hand goods, extending the product lifecycle, which eliminates unnecessary waste, and reduces impacts the environment. Any new products curated at Le Prix are sustainably made with the reuse of materials and ethically produced in order to maintain conscious production. Packaging for purchases and online orders are sustainably made with 100% recycled paper and of course recyclable themselves. I’ve been passionate about the environment since I was a child, and I have two university degrees focusing on environmental studies, business, and sustainability. I wanted to work in Corporate Social Responsibility which wasn’t popular for jobs back when I started Le Prix in 2012. Personally, I feel a moral responsibility to help minimize our impact on the environment. People will live sustainably if it’s easy, and Le Prix works to make sustainable shopping and fashion experiences convenient and fun. I recently returned from Costa Rica where I met an amazing local artisan named Mara, and connected with her over sustainability, and her handmade jewellery that I brought back for Le Prix. Stylist sessions for wardrobe purging, organization, and re-styling of items clients already own has become very popular. It’s great because I get to work with existing wardrobes, help clients gain more versatility, and help them focus on conscious consumption. Every moment at the Eco Market was fulfilling. The people who attended were so engaged and positive that I made amazing authentic connections. My personal highlight was watching a mom teach her child how to sort waste into recyclables and compost.